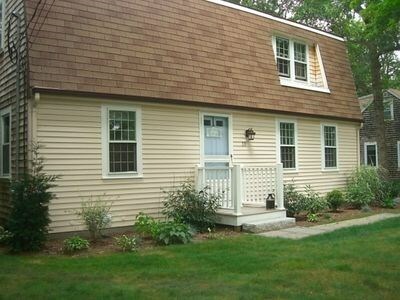 Falmouth Vacation weeks booking fast just lowered week rate to $2150.00 in June and July. 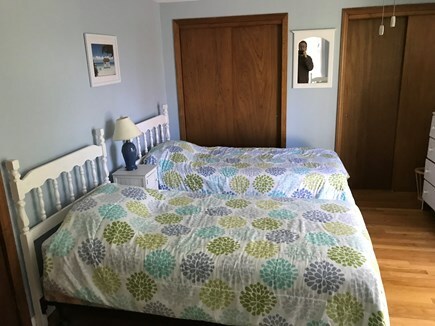 On your next trip to Massachusetts’ fish hook peninsula, designate this newly renovated 3-bedroom, 2-bath vacation rental house as your new home base in East Falmouth. 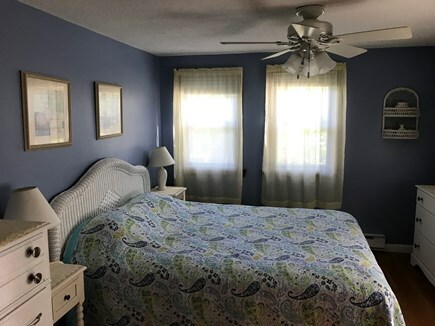 Suitable for up to 10 travelers, this home sits in a quiet cul-de-sac within walking distance of the shoreline of Great Pond. Unwind on the private deck with family and friends after a day at South Cape Beach Park. 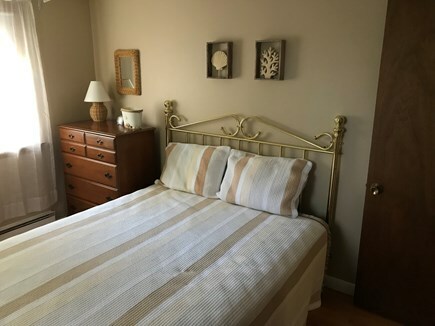 Book a sunset trip on a traditional schooner, or attend the seasonal Scallop Fest near the Holly Wildlife Sanctuary!The house offers 2 Large and 1 Medium bedroom that accommodate 8 people very comfortable. 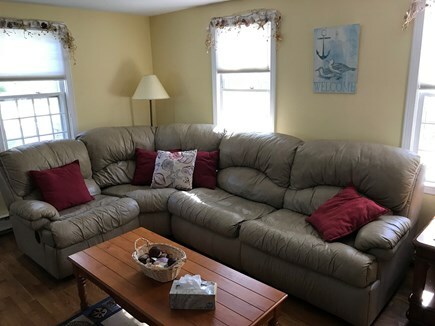 Also a sleeper sofa, a bright kitchen with Electric Stove, dishwasher,Microwave, and washer and Dryer in the basement. 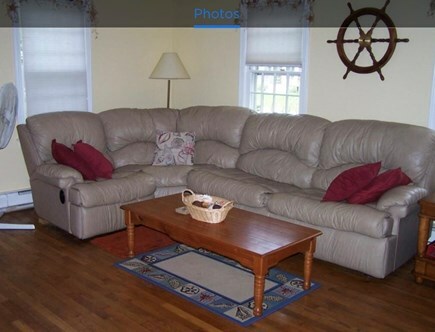 Their is 2 different sitting areas with 50'' and 42'' flat screen TV's. to enjoy a Game, movie or just enjoy a book in a quite area. 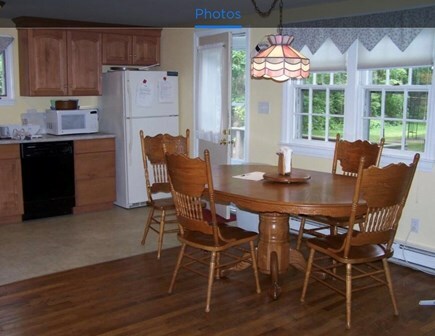 The outside has 2 picnic tables with Gas Grill and Fire Pit to enjoy a cookout or a nice evening around the fire. Additional availability info: Sat 3:00 check in to /Sat 11:00 checkout 50% at Booking Final payment 30 days before check-in. This is a Saturday to Saturday vacation rental. Additional pricing info: 5% Discount for multiple weeks . $250 deposit $100.00 Pet fee, State and local taxes of 12.45% will apply. 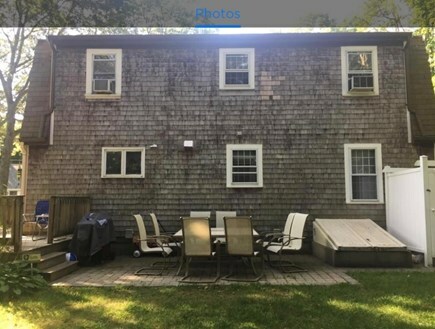 My Family and I been a long time Cape Cod Vacation renters and owned property in the Maravista area for the past 10 years and always loved this part of Cape Cod. 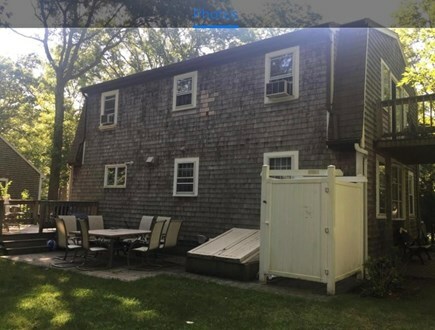 I purchased 10 Mattapan St in 2017 and had a great 2018 season of renters that enjoyed Falmouth. Look forward to 2019 for returning guess and many new renters. I am available 24/7 by cell or e-mail. The house is a 1600sq Ft Gabriel that sleeps 10 people between the 3 large bedrooms and 2 Full baths. 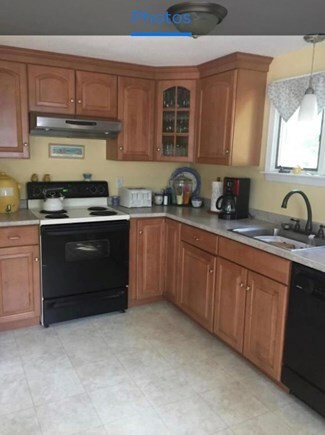 Large sunny Kitchen leading to a large deck and quite backyard. with plenty of sitting area, Gas Grill and Firepit. Also Beach chairs, umbrellas and plenty of Kids beach toys. 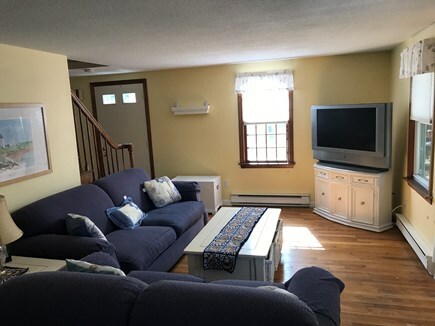 Walking distance to Bristol and the Heights, or 15 min drive to Old Silver beach. Great spot for a fun week in Falmouth year-round. Maravista is a wonderful destination for all ages and occasion. The public boat launch is 3 streets away and a small sandy area for kayaking at the end of the street. 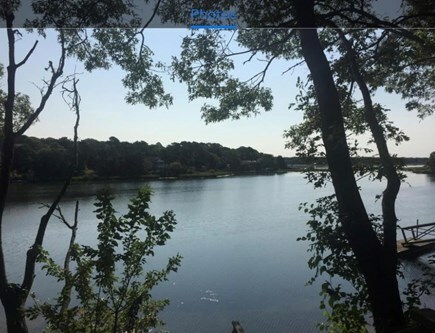 Bristol Beach and the Heights is a easy 1.5 mile walk. Charter fishing boats and ferries to MV are about 2.5 miles away in Falmouth Harbor. 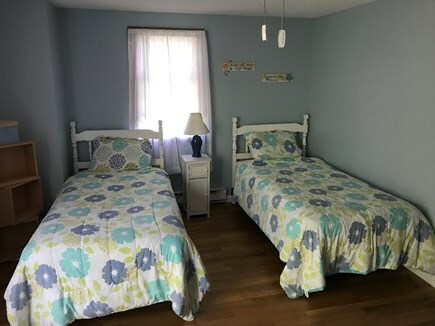 There are plenty of restaurants and shops in downtown, also 15-20 min driving distance to Wood Hole which offers an aquarium and tours at the Oceanographic Institute. or shop at Mashpee Commons. Nature lovers of all ages will enjoy a sunset over Quisset Harbor or Old Silver Beach, a bike ride on the shining Sea Bike path, or sail the Liberte. If you have baseball fans make sure to catch a game of the Falmouth Commodores. ( we have a few Rex Sox players that came from the Cape Cod League) you might see the next Big Papi or Red Sox star.